As a lot of you would have seen, I have recently started my future-hair-free-self journey with Laser Beautique. I have stopped and started laser before, when I was living in Cape Town, but never really committed to it properly, however, it has been something I have been looking into for a good while; trying to understand the different options out there and decide what would be best suited to me. As you may well know, I hate shaving. I’m not particularly hairy, but I have found myself shaving more frequently in the last few years. Hormones, is that you?! That being said, I have never been one of those religious shavers so more often than not my legs feel spikey and make wearing jeans very uncomfortable. I may also have been known to shave my ankles only when my cropped jeans make it a necessity. See what I mean? Laser is very much needed in my life. As promised on Instagram stories, I wanted to get some of your questions answered. There have been a lot! There have been so many asking about laser and, finally, I have started my sessions so wanted to share what I can with you. 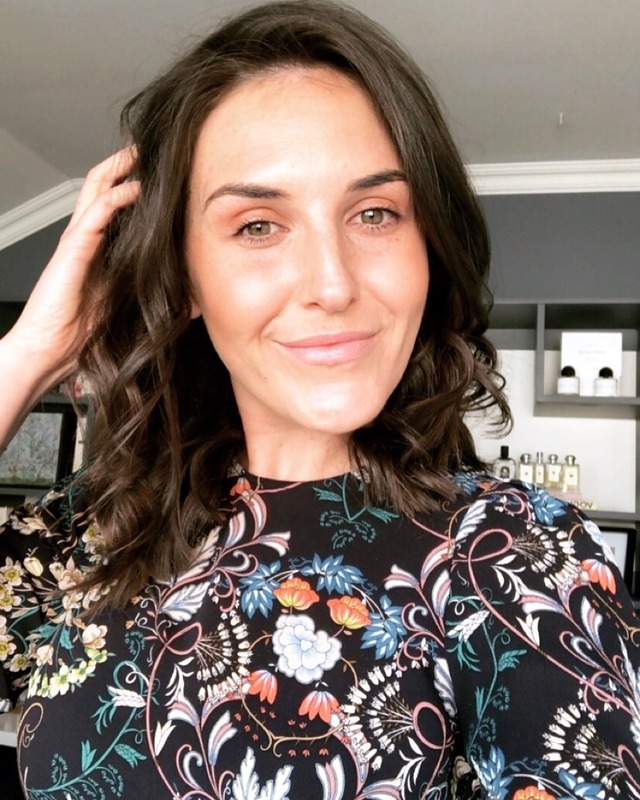 I popped some questions through to the owner and founder of Laser Beautique, Tzvia Hermann, which may shed some light on 1) whether laser is for you and 2) answer those questions that may be preventing you from taking the plunge. Can laser be done on all hair types and does the Laser Beautique's machine work on lighter hair too? Tzvia: Laser hair removal is not effective on light hair (blonde, ginger, grey or white hair). The darker the hair, the better the result. At The Laser Beautique we offer what we call ‘Electrolysis Reinvented’ for light hair. Our revolutionary electrolysis machine is speedy and exceptionally comfortable unlike old-school devices that were very painful, slow and even caused scarring. Tori: In short, no it’s not for all shades of hair I, luckily in this case, have pretty pale skin and dark hair so am the perfect candidate. Be warned that a lot of laser clinics say that their machines work on all hair types. The don’t and this will be a waste of your money. What is the run-down on the different types of lasers one would find on the market and what is the difference? Tzvia: There are hundreds of manufacturers out there that claim to have built the best pain free permanent technology. The reality is that there are only a couple of reputable ones that have produced devices that deliver desired results. There are also different types of lasers. From diode, to Ruby, Alexandrite and some even call IPL a laser. IPL is not laser. IPL stands for intense pulsed light. IPL devices are much cheaper than lasers. In short, the best for hair removal is a diode laser. To be able to perform a pain-free, yet effective treatment, therapists need the right training and need to be working in a results driven environment. All in all, for best treatment one needs to ensure they are being treated with the best device, by trained therapists, in a results driven environment. How many sessions would be done on an area on average and does this result in permanent hair removal? Tzvia: One realistically needs 8-12 sessions. Laser is only able to target hair successfully when it is in the Anagen phase, when the hair is attached to the follicle and dermal papilla. If hairs are in either the catagen or telogen phase, they will not be successfully targeted in the first treatment, and therefore will be only be treated in subsequent sessions. Tori: For those who asked, I am doing 8 sessions and will assess from there. I am currently on my second session for my underarms and first for my legs. My first session meant I shaved once in 6 weeks! With regards to whether it is permanent – no laser can claim 100% permanent hair removal. It is semi-permanent as touch ups may be needed over time. What type of machine does Laser Beautique make use of and what makes this machine effective? At The Laser Beautique, we use an 810-nm diode laser using a new technique called IN-Motion™. This is what makes this treatment virtually pain free, unlike other laser treatments which can be painful and cause discomfort. With previous generation systems, the energy from the laser is delivered via a low fluence (energy), and pulses at a rapid 10 pulse per second repetition rate. The temperature of the hair follicle containing the cells responsible for hair re-growth is gradually raised to the point whereby the cells are damaged and can no longer generate a new hair. This rise in temperature causes a deep dermal heating- a sensation that many users have compared to a hot stone massage. This turns the otherwise uncomfortable process of hair removal into a very comfortable one. By constantly moving the hand-piece during treatment, the energy is delivered uniformly, eliminating skipped spots and ensuring patient comfort. As there is no down time required, you can return to normal activities immediately. In layman’s terms, what makes The Laser Beautiques’ laser different from other lasers is that conventional lasers use a high peak power, and also use a pick and place method (or zap and move method) of treating which stings and feels like an elastic band snapping on your skin. This has been known to be very uncomfortable, especially when treating large areas or sensitive areas. At The Laser Beautique we use In Motion™ technology to gradually increase the power. We like to compare it to having a hot bath, when you draw a boiling hot bath and try and get in, you will burn yourself. BUT if you gradually increase the temperature of the water you can withstand an even higher temperature without feeling any pain or discomfort. Therefore, we can treat you more aggressively, yet painlessly and safely. Tori: From my experience, it really has been virtually pain free (and I can be quite a wimp). My legs were 100% pain free, whereas my underarms felt the slightest feeling of heat, but nothing notable and when the cooling head of the laser is applied, it diminishes straight away. All depends on what area you are treating, underarm takes about 15/20 min where bikini can take 30min and full legs can take between 45 – an hour. What if I plan on having children in my future, will the hormones make all the hair come back? When one has kids, the hormone levels fluctuate. Some experience hair growth because of this, but then once baby is born and hormone levels return to normal, the hair simply falls out. Remember hair can stay dormant for up to 5 years. So if one has 8-12 sessions and is hair free, they may need a touch up a couple of years later as dormant hair may grow. This is not hair that has grown back. This is new or more hair that would have grown regardless of whether one would have had laser or not. Cost-wise - what are you looking at per session? Our pricing is all on our website we do offer great discounts on packages and courses. Watch out for something special for you lot, would you like a discount code? I don't usually do this stuff but laser is not cheap and for those who are keen, it could help a lot. Right, so those are the questions you guys wanted answers on. As I say, I am only on my second session so will do a post half way through and post my experience to keep you guys posted. Here's to being hair-free!